You watched in the news a lot about this tropical cyclone, in its path for the Atlantic Ocean and the Caribbean it destroyed everything on its way. In www.bandbcuba.com as Bed and Breakfast in Cuba, we will like to talk to you about what happens to Cuba after the hurricane Irma. How this climate phenomenon affected the island and how is it going to recover? Keep reading and learn more about this subject. It is believed to be the most powerful and intense hurricane seen in this area in the past decade. And the most powerful to hit the United States since Katrina in 2015. Another fact about this storm is that is the second major in this 2017 hurricane season. The hurricane season is from June to November. But not every year there is this kind of big hurricanes, and as we said it was the most powerful in a decade in the area. So it caused giant damages in its path, especially on some islands in the Caribbean. The hurricane developed at the end of August, it began as a tropical wave that moved off the West African coast. Then grew into a category 2 hurricane on the Saffir-Simpson scale, in 24 hours. After that it became a Category 3, this is considered a major hurricane. The intensity keeps growing, and on September 5th it became a category 5 hurricane. 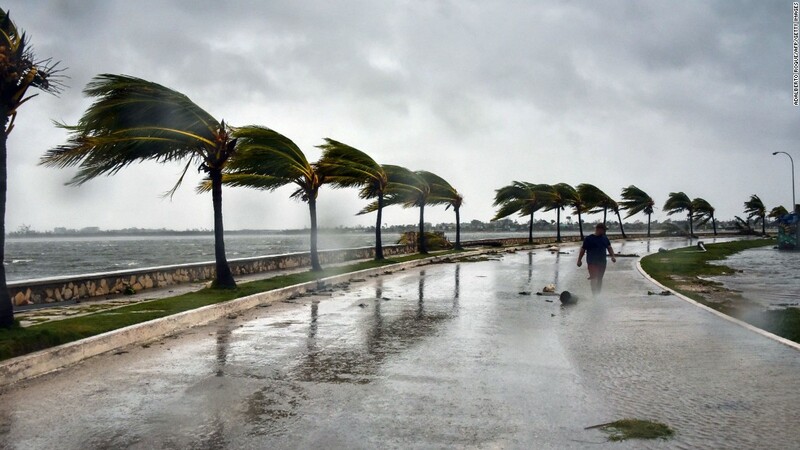 The winds caused by the hurricane were about 295 kilometers per hour. This happened on September 6th. At this moment experts said this was the worst tropical cyclone that has even been recorded in the word. Being a category 5 hurricane affected Barbuda, Saint Barthélemy, Saint Martin, Anguilla and the Virgin Islands. The category of the hurricane dropped to 4 when it crossed over Cuba and the Florida Keys. This means the winds were about 215 km/h. Then, being a category 3 hurricane it hit Florida. Cuba is in the path of the hurricanes in the hurricane season, which happens between June and November. This also coincides with one of the tourist peak seasons that occurs in the months of July and August. This is the summer time. The other peak season is from December to March. Compare to other Caribbean islands and Central American countries, this island hasn’t been affected in a major way after some big storms. The areas that are more vulnerable are the rural ones. But the government work hard to avoid any of these problems. About Irma, the experts at the beginning did not predict that this hurricane could hit Cuba, but then it changes. In the Province of Camaguey, the government enacted a fuel conservation, to ensure the power post-storm. Also, the Civil Defence ordered an evacuation of almost 1 million people, including tourist from areas like Jardines del Rey. The losses and damage in Cuba are calculated in 2.2 billion dollars, and the victims until now are 10 people. According to this amount is the third costliest hurricane in the history. The first two are Ike in 2008 (7.3 billion) and Matthew in 2016 2.58 billion dollars. The authorities said the victims happened in different cities and towns of the island. And some deaths occurred because they ignored the instructions given by the Civil Defence to evacuated some areas. Some of the death was from electrocution, drowning, and the failure of a building and the collapse of a balcony on a bus. Some of the damages in the infrastructure were houses damages and problems in the power lines. The most damaged areas were the Province in the north. In BBC Mundo they talked to people affected in Caibarién, in the Villa Clara Province. Some of them said they lost everything and that everything was destroyed in their homes. They inform that many trees fell down, that the power lines are damaged, and the houses. 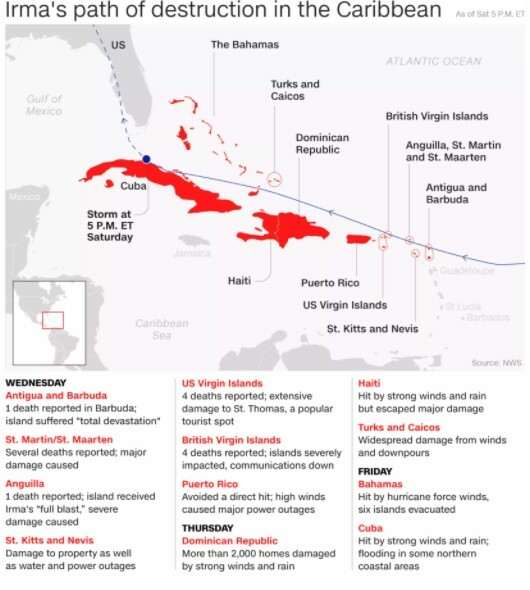 According to BBC Mundo “the damages were smallest in the capitals of Camaguey, Ciego de Avila, Villa Clara y Sancti Spiritus, the main province affected by the hurricane”. But in the northern towns, there was more damage. In the north coast from Matanzas to Havana the waves were between 6 and 9 meters high on last Friday and Saturday. It even erased the Malecon, because the water flooded areas of the capital. The sea conquered about 500 meters. The winds in Havana were about 150 kilometers per hour. When all this happened 51.000 tourists were visiting the island. As we said this is a vacation time, summer in the northern hemisphere. 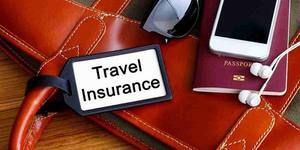 The government said they were about 36.000 foreign travelers in the vulnerable areas on the north coast. The Minister of Tourism, Manuel Marrero Cruz, said that they were working with the Canadian Government in this emergency. This is because the major amount of tourist in Cuba is from this country. They were exactly 60 % of the travelers in the northern cays in the island, from last Thursday they were traveling back home. Other tourists were moved to safer hotels, in the places of less vulnerability. 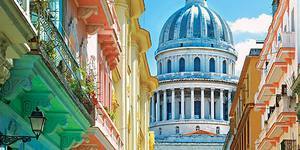 The destinies of reception were Camaguey, Varadero, Havana and Cienfuegos. The government also worked checking the casas particulares. And if they were some that did not fulfill the minimal security to resist the hurricane, they helped them to get to a safer accommodation. They stopped that more people could get into touristic places in the days that Hurricane Irma hit Cuba. They also evacuated tourist in camps in the north of the island, next to rivers. Cuba was affected by this major natural phenomenon, there is no doubt about that. The government asses about 17 hotels in the tourist part of Jardines del Rey were affected by the big waves. But they government took good care of everyone in those places. The International Airport Jardines del Rey was also affected. Mayra Alvarez the vice minister of tourism said the principal damages were in the lobbies and roofs of the hotels. But that the rooms were less affected. This means that the recovery should take less time. The government said that the main priority is to fix the airport. So they can re-establish the connections to Cayo Guillermo and other keys. The authorities worked very hard to avoid human casualties, but it happened. No tourist was killed during the path of hurricane Irma. On Monday the Army soldiers were working to help people, cleaning the damaged areas in Havana. Especially the streets where the sea flooded. The government little by little has been working in restabilizing the electricity. 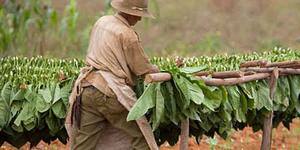 In Sancti Spiritus the crops were affected. But still there is no a full damage evaluation, it will take more time. The sugar cane crops were the most injured, some areas were flooded because of the rain. It will need a hard work from the farmers to drain the camps and to recover the plants. But experts said this would not affect the general production of sugar. After the storm, everybody is working hard to recover the places that have been damaged. People have a good spirit and they are thinking about making the towns better after this. The electrical company is working hard to bring power back to the areas affected. And to cut the trees and clean the debris that was left behind by Irma. Cuba is getting help from all over the world to recover from this hurricane. In the United Nation ambassadors and diplomatic express their solidarity. The Cuban Permanent Mission to the UN received support. In Varadero the hotel's installation was affected, but the major ones were in the Hicacos Peninsula. The damages were in glassware and aluminum marquetry, roofs, and false ceilings, as well as elements of gardening, ornamental trees, and public lighting. In this place stayed more than 15.000 tourists evacuated of keys. 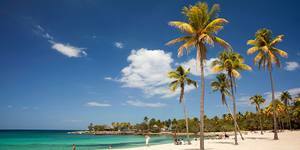 In Holguin the tourist attractions are working well right now. The evacuation on time was very important, and then after the hurricane, they started to put back in the condition the areas affected. This town is now ready to attend the travelers and clients and to offer the best services as the fourth tourist destination on the island. In other towns that weren't affected by Irma people started to organize and collect donations. With the intention to help the ones that were in trouble, this happened in Baracoa. There were also volunteers traveling to other towns to help. The truth is that the force of nature is unstoppable, but the advice of evacuation helped to save lives. Also, it is true that the material damage is very important, but it can be recovered with time and the proper help. In Cuba everyone is working to recovering and to help the people that suffer damages. The tourism industry is getting back on its feet. The international and Internet help will do a lot to help the people and the infrastructural damages. Now you have the answer to what happens to Cuba after the hurricane Irma? If you want to travel to Cuba please contact us and book an accommodation in Casas Particulares, we will love to help you. How is the recovery going forward for next High Season? Many are the tourists that write to us every day asking about the situation for the next months in the tourist destinations affected by Hurricane Irma, that is why @bandbcuba invites you to share the history as the recovery march in your province. You can leave your comment through this article or send us an email to newsletter@bandbcuba.com. On Saturday night (16-9-2017), the country has more than 90% of the population with electricity. "We have all the builders, the investors, the material resources in the hotels, which will allow us to ensure that there will not be difficulties in meeting the established dates and that we can have a high season as we expect it," he said. The information also revealed that in the northern keys are working to start the high season the coming November 15th 2017. Regarding the international campaign against Cuban tourism, Marrero Cruz said that they intend to magnify the damages. On the other hand, he assured that "the work of recovery is going well, that the damages that the hurricane left us are the typical ones that occur in tourism." 23-9-2017: Cuba prepares for high tourist season without Irma footprints. Manuel Marrero, Minister of Tourism with Ivis Fernández, delegate of the Ministry of Tourism in Varadero, objectively ratified that all tourist facilities in Cuba will be ready for the start of the high season, in the presentation to tour operators of Cuba , in the Plenary Hall of Plaza America, which was attended by more than 160 tour operators. 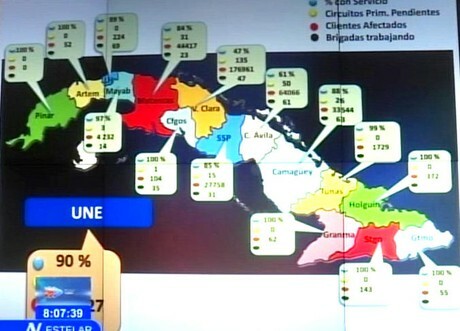 Marrero explained that the main effects were concentrated in the tourist resorts of Cayo Coco, Cayo Guillermo and Cayo Santa María. On the other hand, the tourist facilities of Guantánamo, Santiago de Cuba, Granma, Cienfuegos, Mayabeque, Artemisa and Pinar del Río continue to function without any kind of affectation. I also emphasize that electricity, water and communications have now been restored in 100% of the country's tourist centers. The Ministry of Tourism has the financial resources to continue with the recovery of the facilities affected by Huracam Irma. Marrero commented that "the main affectations have been in Ranchones and constructions of wood, easily to replenish. There is no hotel in which a building has collapsed, or in which a concrete structure has collapsed. That does not exist." He also stressed that in addition to restoring the facilities, take advantage of the recovery to do new things and improve the comfort of real estate. Cayo Coco is more advanced, by November 15 all will be recovered. On November 1, 14 of 18 hotels on the key will be open and providing services, as will the airport. Access to the pedraplen is enabled provisionally and by November 1st must be fully restored. The Cayo Las Dunas national airport will be operational October 15 as well as 5 hotels with more than 4200 rooms running. The Santa Clara Abel Santamaria International Airport will be operational this Monday, September 25th. The damages in the hotels in the havana coast were minimum, at this moment there are working 15 of the 18 hotels that were evacuated. The Varadero tourist center is providing services in 47 hotels out of 52 and cleaning is estimated at 92%. Good morning dear friends of BandCuba. The impacts to our province of Holguin were few. In particular our Tourist Polo of Guardalavaca that is already ready to receive our clients and to all that it wishes to visit. Fortunately in Santiago de Cuba there were no major affectations this time. We've had rains and some wind, but nothing significant. We have already resumed normal life and at this time we have a clean and sunny sky. Thanks for the interest. Best regards from La Hiedra. As well land phone interruption. Fortunately in Cienfuegos Irma did not seriously damage it, unlike our neighboring provinces of Villa Clara and Ciego de Avila. Today the Pearl of the South is recovered, we have electricity and running water, support brigades have left to the regions affected to work and in the shortest possible time recover the provision of essential services such as gas, electricity and water; in addition to giving the contribution in agriculture to recover crops that may have been more affected, such as banana, a product of the sensitivity of this plant. That way we are the Cubans, we recover from the setbacks, working, because that is the word of order, WORK !!! Recover and help the most affected recover as soon as possible. Regards, Hostal Yami and Julio. there were disasters here, only in the northern area and they are recover it step by step. Hello, thank you for your concern, The town of Playa Girón did not suffer great damage and we are recovered., Our Hostel did not have any damage and we are ready to receive customers. We wait for you as always. Good afternoon, thank you for the messages of support to our entire community after the scourge of Irma. Our house is ready to receive clients in the coming months as we are not affected by the hurricane, we hope, like you, that all those affected can recover very soon. Thank you and have a good day. Hello from CASANARA B&B, Comfort & charming ambience, Santiago de Cuba. Hello,I read your blogs named "What happens to Cuba after hurricane Irma? | BandbCuba" daily.Your humoristic style is witty, keep up the good work! And you can look our website about اذاعة.